Matvei Yankelevich talks with Charles Bernstein about "Some Words for Dr. Vogt," his grandmother Yelenna Bonner and growing up in an American center of Soviet dissidence, the relation of Soviet samizdat and small press publishing in North America, the formation and operation of Ugly Duckling Presse, the importance of book design, Russian poets of the modernist period and of the 1920s, and 1930, wih special reference to Daniel Kharms and Alexander Vvedensky, and the translation into English of contemporary Russian poets, including Dmitri Prigov and Lev Rubinstein. Yankelevich's most recent book is Alpha Donut from United Artists. 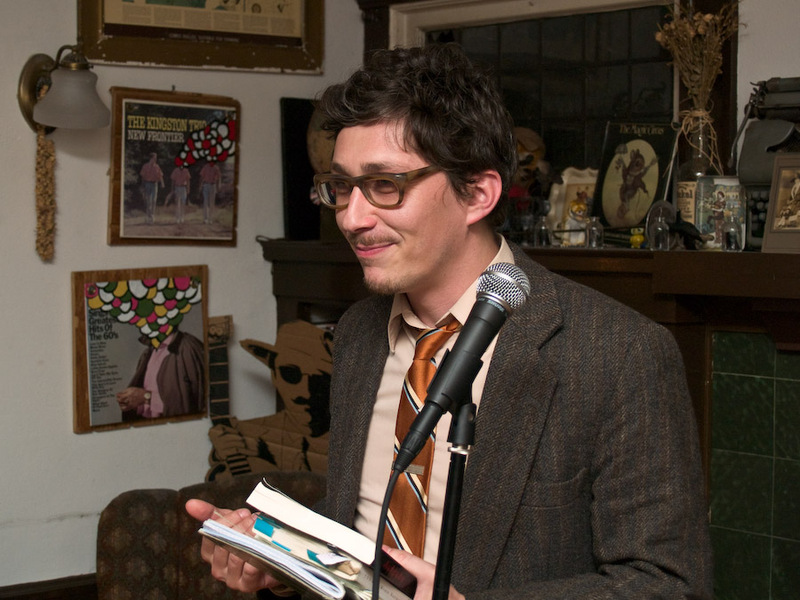 His other books and chapbooks include Boris by the Sea (Octopus Books), The Present Work (Palm Press), and Writing in the Margin (Loudmouth Collective). Yankelevich‘s translations of Daniil Kharms were collected in Today I Wrote Nothing: The Selected Writings of Daniil Kharms (Ardis/Overlook). He edited a portfolio of Contemporary Russian Poetry and Poetics for the magazine Aufgabe (No. 8, Fall 2009) and has written essays on Russian-American poetry for Octopus magazine online. He teaches at Hunter College, Columbia University School of the Arts (Writing Division), and the Milton Avery Graduate School of the Arts at Bard College. He is a co-founder of Ugly Duckling Presse, where he designs and/or edits many and various books, is the editor of the Eastern European Poets Series, and a co-editor of 6×6. He lives in Brooklyn. For recordings at his PennSound page.